Earlier this month Vodacom launched a new premium range of smartphones extending the range of branded devices on offer. With the launch of the Vodacom Smart platinum 7 and Vodacom Smart ultra 7 Vodacom now offers devices, not only in the entry-level smartphone and tablet category, but also in the premium mobile class as well. In addition to the high-quality premium smartphones, Vodacom also unveiled a new range of mid-to-lower entry level smartphones in order to give customers more choice. These include the Smart prime 7 (entry level LTE) powered by Qualcomm® Snapdragon™ 200-series processor, the Smart Mini 7 (mid-tier 3G), the Smart Kicka 2 and the Vodacom Smart tab 2 3G. Below is a summary of the new device offers as well as other ranges of smartphones available at Vodacom for the month of July. o Other Value adds: Customers that purchase the Vodafone Smart platinum 7 will get a Smart VR in box, plus free screen insurance as well as a free 1 year Office 365 (Office 365 features 60 free Skype minutes, 1TB cloud storage per user, one license for three devices, worth up to R1299). 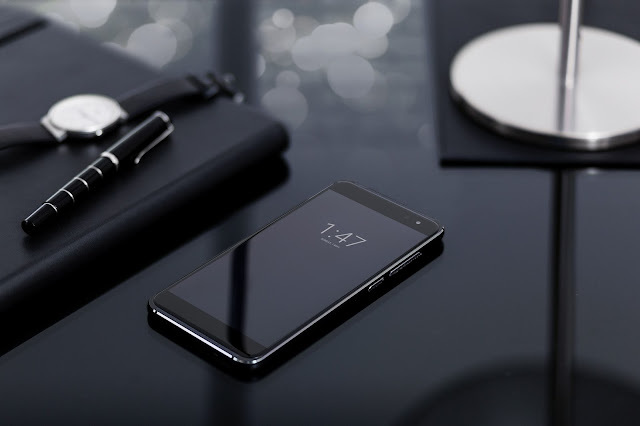 The Vodafone Smart platinum 7 has a Qualcomm snapdragon chipset. o Other Value adds: Customers that purchase the Vodacom Smart ultra 7 will get free screen insurance as well as a free 1 year Office 365 (Office 365 features 60 free Skype minutes, 1TB cloud storage per user, one license for three devices, worth up to R1299). o Other Value adds: Customers that purchase the Vodacom Smart prime 7 will get free 1 year Office 365 (Office 365 features 60 free Skype minutes, 1TB cloud storage per user, one license for three devices, worth up to R1299). The Vodacom Smart prime 7 has a Qualcomm snapdragon chipset.